Founded in 1982, the MGI Group is a public company with offices around the world and is registered on the Euronext/Alternext stock exchange (ALMDG). The MGI Group is a global digital printing technology leader composed of MGI Digital Technology, headquartered in Paris (Fresnes), France and KÖRA-PACKMAT, located in Villingendorf, Germany and CERADROP, located in Limoges, France. MGI USA, based in Melbourne, Florida, is a fully-owned subsidiary of the MGI Group that supports the North & South American, Caribbean and Asia Pacific markets. For more information, please visit www.mgiusa.com. Naples Print Source has been producing compelling marketing collateral in Florida since 1980. Custom printing and U.S. Mail campaigns are their specialty. They design and produce Fortune 500-caliber print initiatives for a wide range of companies and non-profit organizations. Their targeted direct mail marketing campaigns help organizations establish relationships with new contacts and strengthen long-term revenue streams with existing customers. For more information, please visit www.naplesprintsource.com & www.thedirectmailman.com. This entry was posted in Digital Printing, Vendor News and tagged MGI Meteor DP8700 XL on January 5, 2016 by Billi Jean Johnstone. By integrating new printer technology, schools are realizing greater efficiencies and cost savings both inside and outside the classroom. Creative projects are finding a new home in schools with the ability to print in clear and white, and banner printing capabilities. Some projects previously requiring outsourcing can now be completed in-house. Present-day schools can do much more than just make copies. 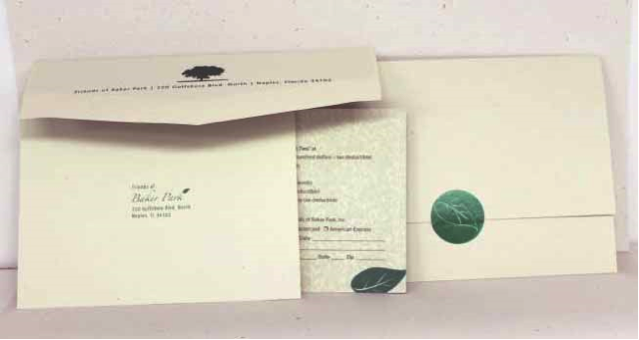 In today’s tech-driven world, new printer technology allows schools to create in-house “print shops” (or communication centers as they are often called) delivering outputs such as invitations, envelopes and banners. 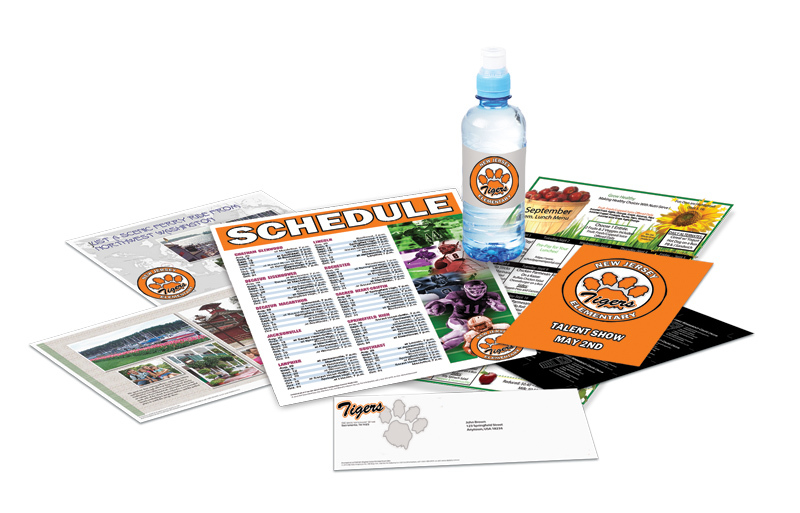 In addition, programs, labels, posters and more can be quickly and efficiently created for theater, sporting events and other school activities. Students and faculty are excited and intrigued by the color options and collaborative projects they can create together right in their building. Not only are the advantages to new printing capabilities creative, they’re practical too. They eliminate wasted time and the need to outsource certain materials on a regular basis. Check out the photo below to see some samples of projects that can be printed using a “print shop” with the OKI C911dn. The possibilities are endless! This entry was posted in Digital Printing, Shared Articles and tagged changing education, Digital Printing, digital technology, OKI Data on September 3, 2015 by MSL. This entry was posted in Digital Printing, News & Updates and tagged Meteor DP8700 S, MGI, Swift Printing on November 25, 2014 by MSL. Print sheet sizes up to 13 x 40 inches! MGI Meteor DP8700 XL Digital Press – Print sheet sizes up to 13 x 40 inches! Print sheet sizes up to 13 x 40 inches! The Meteor’s construction brings a market exclusive ability to print in super format. Use this to your advantage and provide services that no other print manufacturer can. Super format is terrific for quad-fold brochures, banners, calendars, dust-covers and many other unique items. Show your customer your abilities and help them dream of the possibilities. The patented infrared pre-heater, powerful print engine and enhanced toner compositions give you the freedom to print on a wide variety of stocks and substrates. Print on unique materials like PVC, polycarbonates, Teslin, Yupo, canvas, labels and other synthetics. The Meteor DP8700 XL is the most versatile digital press in the global graphics market. It offers users the widest range of substrates available (paper, plastics, & envelopes), the largest cut sheet size (up to 102 cm / 40″ in production), laser-safe prints, no click charge and an economical total cost of operation, plus offset-comparable output quality. For additional information visit us online at www.midstatelitho.net. This entry was posted in Digital Printing on November 21, 2014 by MSL. With the CDT 1600-C, print on demand has never been easier. Using digital print allows you to eliminate pre-printed label inventories and reduce costs. In one step, add color to your tags and labels, integrate variable data, and print what you need, when you need it. Designed for secondary and logistics labeling, as well as private labeling and branding, the CDT 1600-C is the fastest digital color tag and label printer in its class. Powered by Memjet technology, the CDT 1600-C prints at 12 inches per second, with print quality up to 1600 x 1600 dpi. Capable of printing full digital color at the same cost as thermal transfer, the Colordyne family of printers provides a custom solution for your business. Printing labels and tags in full color offers endless possibilities for branding and messaging. The CDT 1600-C allows you to print today for tomorrow’s production. Meeting and exceeding the needs of the tag and label print industry, the CDT 1600-C presents an affordable and scalable solution for a variety of industries and applications. The CDT 1600-C prints rich colors at full-bleed and excels in printing readable small fonts and sharp barcodes. 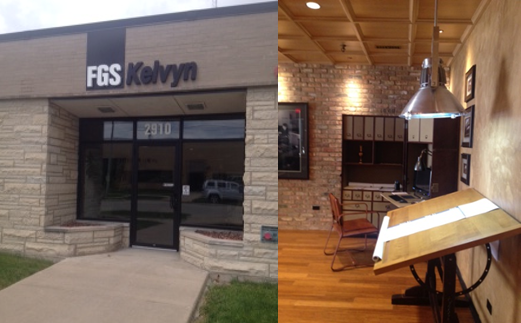 Colordyne adds value to your business by providing digital printing, variable data, and color management solutions. Use the CDT 1600-C for high volume, full color industrial solutions. See the CDT 1600-C in action! For additional product information, please visit Mid-State Litho, Inc. at www.midstatelitho.net or at 810-238-7370. This entry was posted in Digital Printing, Labels on August 1, 2014 by MSL. Colordyne’s high speed CDT-1600 PC performs continuous web printing at 160 feet /minute (32 inches/second). This Memjet powered printing system has five printheads with an interchangeable ink delivery system. The CDT-1600 PC releases up to 3.5 billion drops of ink per second and prints full process color at affordable costs. Being the world’s first roll to roll digital printing system, Colordyne’s Production Class Printing System delivers up to 1600 x 1200 dpi. Web handling system is manufacturered by AzTECH Converting. This entry was posted in Digital Printing, Labels on May 12, 2014 by MSL. METEOR DP8700 XL Plastic printing specifications: Thickness between 200 to 400µ – 8mil up to 16mil Print PVC, Polyester, Polycarbonate, Polyethylene, Lexan, PET, Autotype, Vinyl, Teslin, Melinex, Agfa Synaps, Canvas/Buckram, etc. The Press Card Pro is an industrial lamination unit for paper and plastic substrates, including PVC, polycarbonate, vinyl and synthetic papers. The unique technologies integrated into the unit include individual heating, cooling and pressure control circuits. The PressCard Pro can manufacture plastic cards (ISO CR-80) from 200 up to 1000 microns, RFID, labels, signage and many other applications, including clear PVC overlay with embedded magnetic stripes. This compact and industrial hot lamination press is fully automated and operates on an average 20-30 minute per cycle. Unit for paper or plastic cards – Industrial Lamination Unit: The PunchCard Pro is a semi-automatic card punching unit capable of punching 6,000 ISO CR-80 plastic cards per hour in layouts ranging from either 21 or 24 cards-up. ISO format certified (CR80/85.5x54mm) and complete with rounded corners and a thickness of up to 850µ/34 mils. The die-cutting of cards are automatically retried in the triple chimney stacker. This entry was posted in Digital Printing, Plastic Card Printing on February 1, 2014 by MSL. Every four years, the Graphic Arts Show Company (GASC) hosts Print, an internationally recognized exhibition in the Americas for digital, offset, flexographic, and hybrid technologies, products, and services for the commercial, transactional, converting, package printing, publishing, mailing, in plant, photo imaging, and marketing industries. This year’s event, themed “Innovate, Integrate, Communicate,” takes place from September 8 to 12, 2013 at McCormick Place, Chicago, IL. Of note is the new BIG – The Wide Format Pavilion, sponsored by the International Sign Association (ISA). This area of the show floor is home to exhibitors specializing in hardware, media, software, and solutions in wide format. Creative Banner Assemblies, Digital Graphic Systems, Flexmag Industries, and Grimco are a few of the familiar names found in this part of the exhibit hall. Leading by example, ISA hosts one of the larger booths in the pavilion, showcasing a wide format innovation and application theater for attendees. Presentations include discussions on the hottest media trends, tips, and tricks on how to sell the newest applications. In advance of the show, the following products were recognized as MUST SEE ’EMS at Print 13 in the Pressroom: Wide Format category… Xanté Corporation for the new Excelagraphix 4200 P Series. This entry was posted in Digital Printing on September 10, 2013 by MSL.